We are not reaching young people effectively. We are not discipling young people effectively. We are not prioritizing reaching, baptising, and discipling young people. Dr. Floyd also presented this staggering stat: 60% of our 46,125 SBC churches reported no student baptisms in 2013. I think you will agree that we cannot continue down this same path. Since the writing of that article a group of student pastors have been meeting to discuss how to reverse this trend. Many from this group have been consistently praying and fasting about this issue for the last several months. At that meeting of student pastors a plan was developed to begin attacking this trend. Reversing this trend will take a mobilization of student pastors across the nation around the same focus: to reach, baptize, and disciple students. 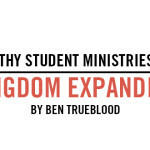 Reversing this trend will take a commitment to consistent prayer and fasting among student ministry leaders. Reversing this trend will take more than a one time event or program. Reversing this trend will take a focus and goal that student pastors across our nation can embrace within their own unique context for ministry. 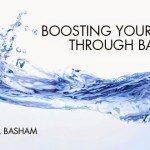 A commitment to join in a three week emphasis of intentional evangelism and baptism in your ministry. Throughout these three weeks: preach the gospel clearly, invite people to place their faith in Jesus, and follow up with them about the importance of baptism. Baptize students sometime during the week of the 20th, or each week depending on your ministry context. A commitment to rally the student pastors in your region to get involved in this emphasis. Imagine what it would be like to be part of something that hasn’t happened in 40 years: a reverse in the decline in student ministry baptisms. Imagine what would happen if student ministry leaders across our county joined together in prayer and fasting over this issue. We all want to be part of something that changes this generation for God’s glory and we believe that this is an opportunity to do that very thing. Will you join the other student ministries who’ve already committed to the “Reverse the Trend” emphasis? Time is short. Let’s make a difference right now. Let us know of your commitment to “Reverse the Trend” by going to www.lifeway.com/reversethetrend and completing the short form at the bottom. We want to pray for you and your ministry as we enter September and the first year for this incredibly important emphasis. There are also downloads available to you on this site to help you plan and execute this emphasis in your student ministry.